Yesterday was a national day off of work and I continued that trend with my own holiday today as well. So it was only natural to do a double workout as I headed to the Box at noon and another session in the afternoon. 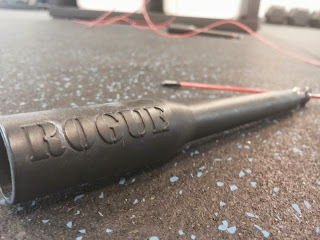 My body didn't quite like the barbell work but bodyweight action was right on point. Friday was a good combination of strength, skills and conditioning! Before taking on this workout I warmed up properly and then took a short metcon combining 24kg kettlebell swings and ghd sit-ups, forming a total of 60 swings and 40 ghd's. The idea was to activate the entire body and get some sweat on. Mission accomplished. These felt heavy even though they don't look like it. I guess my legs are hammered from previous days' cleans and squats. This squat workout went on totally by feeling but the point was to do a triple every 1.5min. I stopped at 110kg even though there heavier barbells would have definitely found their way up. I was more eager to pull from the ground. My body wasn't fully prepared for heavy barbell work for sure. I felt it in both squats and deadlifts. My hands and fingers feel sensitive from all the work put in lately. I've done a ton of hand maintenance but still they are sore and there are small cuts here and there. I took triples with bigger jumps than what I'm used to. Those were all okay, and it was good to have a heavier bar in my hands despite all the above written. sat triple was at 180kg, no biggie. I was looking to do a triple also at 200kg and the weight was alright but I felt my back wasn't lined up as straight as I'd like it to be so I stopped after a single. Don't want to do such compromises with heavy deadlifts. This was great! Absolutely the best part of the training session. Bodyweight movements and shoulders were taking big hits on this one. Practically each movement put a lot of pressure on shoulders so they were on fire for most of the time. Round times stayed quite consistent too. First 2 rounds were faster (1:29 and 1:41) but then it stabilized to around 2 minutes per round. This was supposed to be a 12min amrap but I wanted to finish that 7th round too so it went a little beyond. I got hspu's unbroken even though I realized on the second round it's gonna be tough. It was only 6 reps and should not be a problem but combine that with burpees where you have a pushing motion and finally double unders which seem to tax mostly shoulders. At least in my case. Shoulders are always getting tired the first in this movement. I stumbled on the rope on both of the first 2 rounds but then it was unbroken till the end. In the late afternoon session it was supposed to be an easier session. I had tons of plans over things I'd like to practice. Muscle-ups are something I have gotten about 1000% better lately and I want to keep the progress on. That's the reason why you will see lots of mu's done on both rings and pull-up bar. This was not a timed portion. I took a triple, walked around the gym and came back to finish another triple. Total of 15 reps. I did some ghd's in the morning but that didn't matter, it suited very well for this workout. Combination of ghd's and box was quite nasty. Ghd's were probably the easiest part of this workout but it put some pressure on the hip flexors too. I had some issues with them for 1-2 weeks just recently so I've been alert in listening to my body. Ghd's were 20-10-10 on the first time and actually probably the same on the last one. My plan on the last station was to do it in maybe 4 sets because the combination of ghd's and box jumps was a high pressure situation on the hip flexors but then again it felt okay to hit it 3 sets so that's what I did. It took 1:30 on the first round and 1:53 on the latter one but remember there was transition before starting the movement for the last time. Box jumps were tolerable. This number of repetitions was fine for the chipper. I was able to keep moving without having to stop and breath. Had one miss on the second time I was jumping around. Ring dips and bar muscle-ups were by far the most difficult part of this one. There were just 20 dips and they were alright on my way down but coming back was miserable =) Muscle-ups were 2-3-3-2 which means to say they were tough. Originally I had thought of knocking them away in 2 sets but those ring dips ate my strength, and it was hard to get them done for the second time. This chipper style workout was pretty much perfect to finish this Friday. Now it's time to focus on the Regionals. 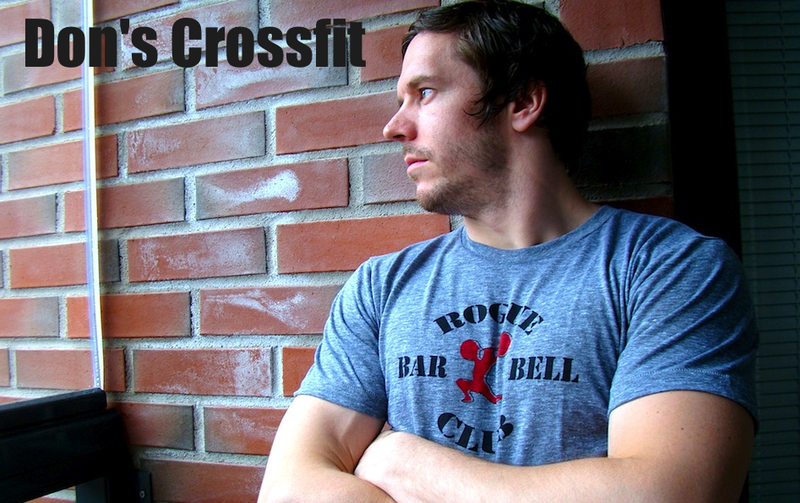 Head on to games.crossfit.com to witness the Atlantic and South Regionals live action!! !